A view of Dublin from Croke Park. MINISTER FOR HOUSING Simon Coveney has defended the government’s rental strategy, but said it will not be going through before Christmas. Fianna Fáil has heavily criticised government proposals to limit rent increases in “rent-pressure zones” in Dublin and Cork. Yesterday, Minister Coveney brought proposals to Cabinet that will cap rent increases in designated zones of Cork city and Dublin city and county to 4% a year over a three-year period. Fianna Fáil’s education spokesman Thomas Byrne says the 4% limit is too high, but ruled out seeking to link rent hikes to the consumer price index. He said Fianna Fáil was working through the night on its own proposals. Speaking this morning, Coveney said the 4% rise was non-negotiable, and the government would not support any amendment to reduce the rent cap to 2%. He also that if Fianna Fáil wants to oppose the 4% cap, then the legislation underpinning the Government’s rental strategy will pass before Christmas, which is something the party “will have to take on themselves”. The measures are due to be tabled today. Minister Coveney reportedly failed, however, to persuade Cabinet to approve linking rent increases to the consumer price index. The rental plan designated Dublin and Cork city as rent pressure zones because annual rents there have risen by at least 7% in four of the past six quarters. The average rent in both ‘high-pressure zones’ is also above the national average in the last quarter. “I’ve been minister for housing for six months,” Coveney told Today with Sean O’Rourke on RTÉ this morning. “Within the first 74 days we had a housing strategy agreed, which is agreeing to spend €5.5 billion on social housing, to increase the number by almost 50,000 [houses]. We said on that day that we would have a rental strategy by the end of the year, and we have delivered that. We have increased the budget for housing next year. He said that the Budget included a big package for first-time buyers, which he said has fundamentally changed the housing market for first-time buyers. “As a result, developers are planning to build a lot more houses, starter homes, for first-time buyers. We are changing the market, and it’s working, and we’re starting to see momentum build in the property market. He also said the department is looking at the effects of Airbnb on the rental market. “Anybody who plans to use Air Bnb effectively for a B&B or a hotel-style operation, they will have to go to their local authority for a change of use in terms of planning,” he said. Writing in TheJournal.ie, Sinn Féin housing spokesman Eoin Ó Broin said the measures could amount to an average €4,500 rent hike over the next three years for renters in Dublin city. Renters in Cork city, meanwhile, could be hit with a bill for €3,200, he said. Fianna Fáil broadly supports the strategy, but wants the rent-pressure zones extended to Galway, Limerick, Waterford and parts of the commuter counties and the 4% figure lowered. “Now what’s happened here really is a procedural nightmare,” education spokesman Thomas Byrne told RTÉ’s Morning Ireland today. Once again, coming up to Christmas, the government is going to make a major decision which is going to have major consequences. Byrne said Fianna Fáil housing spokesman Barry Cowen has been in discussions with Minister Coveney regarding the 4%, and the geographic areas covered by the measures. We want to engage in fruitful discussions on this with the government. He said the minister’s approach has resulted in procedural chaos. “Our teams have been working throughout the night on this, and government have been as well. It’s not the way to do this. The government is tabling this not as an existing bill, but as four-stage amendments to an existing bill that’s already gone through the Dáil. That is due for discussion, we think, tomorrow, and amendments have to be in today. It’s crazy stuff. “Government amendments that are going to amend this have to be in by 1pm today. “It’s the same every year, they don’t seem to have learnt their lessons about rushing legislation in before Christmas. Broadly, we think… a lot of the difficulty we would have with this strategy – there are more measures that are coming in for this time next year, rather than for this time this year. Byrne said that, at this point, it’s unclear when Fianna Fáil’s amendment will happen, but said the party is seeking tax breaks for landlords. “We would like to see more stuff in terms of landlords,” he added, insisting he meant small-time landlords, rather than REITs (vulture) funds who have snapped up large swathes of Irish property. This morning, Minister Coveney said Fianna Fáil should have proposed any changes to tax incentives before the Budget, rather than six weeks afterwards. Asked whether Fianna Fáil would link proposed tax breaks for landlords with greater security for tenants, Byrne said the Constitution precludes an opposition party from tabling a finance bill. Byrne said the party’s proposals are somewhere in between the 4% cap and linking rent increases to the consumer price index. 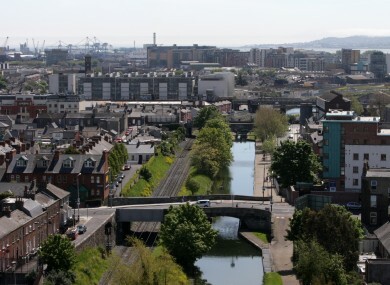 The party’s proposals are based on the average of rents over the past five years, allowing for increases in some areas but a ban on increases in other areas. We think the 4% is just too high – it’s a price increase. It certainly should be lower, I’m not going to put a figure on it. As of October, there were 3,486 homeless adults and children in the State, three times what the figure was three years ago. There are 142 people, meanwhile, sleeping rough in Dublin city alone. “Certainly the housing supply needs to be increased,” Byrne said. Email “Simon Coveney rules out reducing rent cap limit from 4% to 2%”. Feedback on “Simon Coveney rules out reducing rent cap limit from 4% to 2%”.